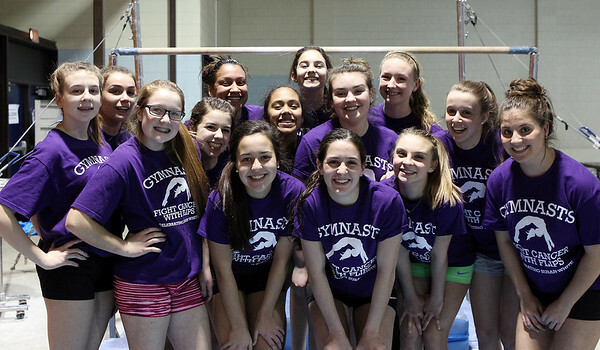 The Peabody High School gymnastics team put together a fundraiser selling T-shirts for a judge who is battling cancer. The team has raised $1,700 selling the shirts around the Northeastern Conference. DAVID LE/Staff photo. 1/20/15.